…although it didn’t necessarily start off that way. 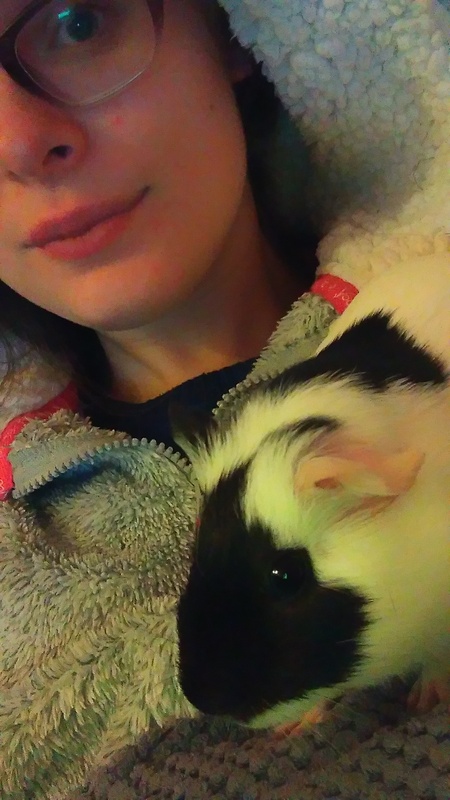 This morning I was sore and cranky but I took some painkillers and made it into uni (after some cuddles with guinea pigs of course). Here’s one with smudge which is super cute, if I do say so myself . Emma has been here since yesterday which is super lovely. It’s great to have a catch-up with my best friend, especially when ice cream is involved. She accompanied me to my pain management so we went for hot waffles afterwards which were as good as they look. And yes, they are m&ms on the top…and cream….and chocolate sauce. And I had two scoops of gelato; banana and nutella. I know, I really do have a big sweet tooth! If you’re ever over this way, be sure to visit caffe gelato. 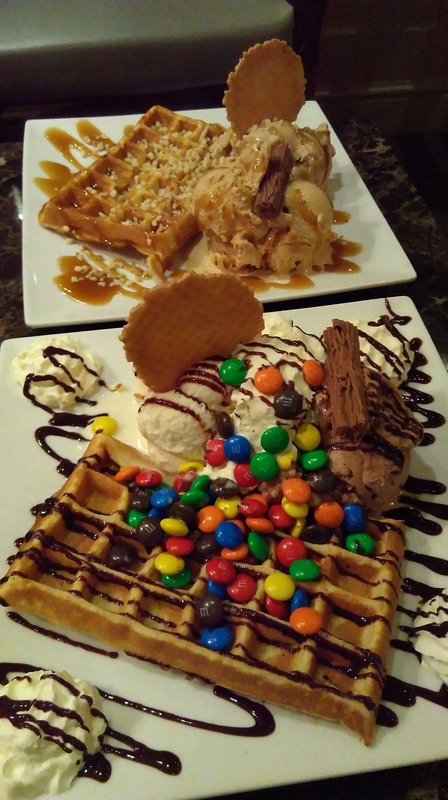 It’s a popular haunt for families and students alike, and when I was battling my way through final year it became a fabulous incentive: unhealthy perhaps but delicious all the same. 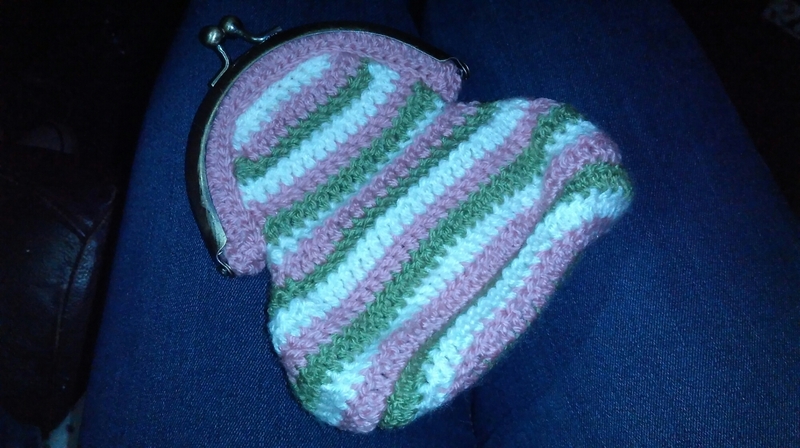 Emma is a really creative and crafty person, and she crocheted me a purse which is amazing!! I love anything handmade; it’s so thoughtful, and no-one else will have the same thing. It was nice to have pain management today because I’ve really been missing it and feeling it, too. I had an orthopedic appointment last week which is useful because they’re going to review my spine, which I think is needed. It will mean having a full spine mri but hopefully all will be well and I won’t have any more problems with the vertebrae in my spine to deal with. Fingers crossed! Things are looking up, and this week I feel on top of all my work and errands which makes a change. Although admittedly, I still feel like being an adult is hard, and I still think I’m about 6. Shame I turned 22 the other day! Anyway, I better get going. We’re going to chill out tonight with some films and snacks. It’s so lovely to have a little bit of a break in my schedule. Has your Monday been going okay? Let me know, and keep your eyes peeled for my Wren Kitchens post…it’s going to be a good one! Ps here’s a cute pic of Patch…I know. 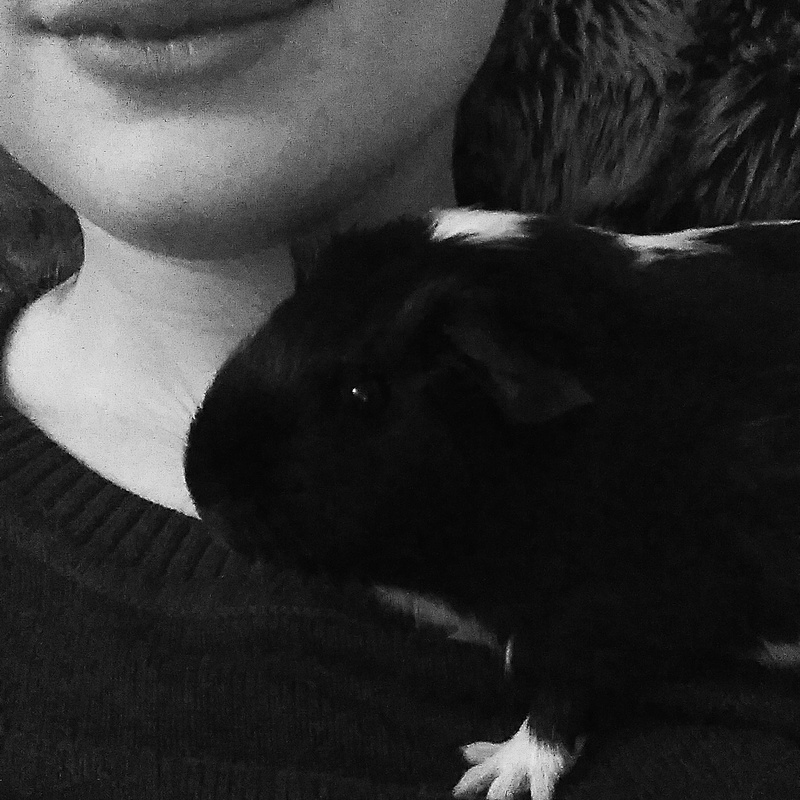 I’m officially a crazy guinea pig person.